Facial Plastic Surgery: Aging gracefully…. Really? Many of us ask “I just don’t get it and I didn’t ask for this. How do those folks who seem to be ageless, do it?” They seem to have glowing skin like we all did when we were growing up. A glowing skin tone is something I think we would all like. 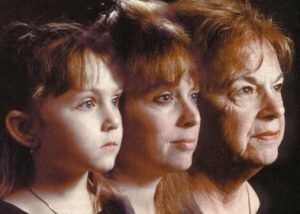 Unquestionably, our skin seems to fade over time. As a plastic surgeon, I have learned that there is no true secret to having that “youthful glow” but here are some hints that will help. Our skin condition is often a barometer of how we take care of ourselves. The research clearly shows that being overweight increases our risk of all those things we keep hearing about: diabetes, heart disease, high blood pressure, kidney disease, Alzheimer’s disease, etc. but did you know it also affects our skin? Being overweight increase the amount of inflammation that is going on in our bodies and causes all of those nasty things I just mentioned but inflammation is a contributor to acne and rosacea and has been linked to a host of other skin disorders. Smoking is obviously NOT good for your skin. Do I need I say any more about this? Sun exposure is also not a good thing for our skin. It’s amazing how many times I have said to people, “Those spots are caused by the sun” and their reply is “I hardly ever go in the sun, anymore.” The fact is that sun damage is cumulative over our lifetime and the spots I am seeing today were caused by the damage I got, not just last week up at Whistler spring skiing (yes I had my sun screen on but I still got some exposure), but by the damage that I got when I was a toddler and got a sunburn. (I can’t remember that but I know it must be true). So here are some tips to help your skin and your health as well. Get in shape and cut out some calories!! Enough said on that one. There are three lotions that science tells us unequivocally help. • Sunscreen (at least an SPF 30). • A good moisturizing cream that offers sunlight protection and moisturizes the skin. When you finally realize that your skin needs some help, the basics I mentioned above may not be enough. Age or sun spots are due to hyperpigmentation, or increase in melanin content in the skin; again secondary to sun exposure. •Mix flour, lemon juice, or milk cream together and use as a scrub. Lemon helps in clearing the spots, and milk cream helps retain the oil content of the skin. •Make a paste of papaya, straw berries, and lemon juice as a face mask. A better solution is the alpha hydroxyl acids, also known as AHAs. There are a lot of cosmetic preparations that contain these acids. The acids work by sloughing off dry and dead skin to expose younger looking skin underneath. This also makes your wrinkles appear finer. These lotions and peels can be used on your face as well as your hands. Most of the over the counter preparations are not strong enough to get significant results and again I think a good skin care professional is your best bet for getting the results you really want. Bleaching creams and lotions can also be used to reduce the “liver” spots or dark spots that may begin to show with age. Hydroquinone is a natural bleaching agent that can help reduce the natural melanin in your skin. Hydroquinone can be purchased as an over-the-counter cream, ointment or lotion. Preparations of up to 2% are readily available but once again the stronger prescription strength preparation will get the best results. If you have dry skin, moisturize regularly. Many of us more mature folks seem to have very dry hands and sometimes a little over the counter hydrocortisone cream will help with that. Finally, as surgeon, I recognize that there is loss of volume that occurs in our skin and other tissues with time. Most people think we get wrinkles because our skin stretches and sags but recent research shows that it is much more a loss of volume. The best analogy I can think of is clothing on a manikin. It can look great but if we shrink the manikin the clothing will look loose and wrinkled. There has been a loss of volume! There is little that can be done to stop this and the fix is either tighten the clothing (surgery), restore the manikin’s size (fill things back up) or a combination of both. When it comes to fillers you have a lot of choices. First you need to decide who is going to do it. I have heard of offices where the medical assistants do the injections!!! (That is illegal just about everywhere I know of). The gamut of injectors usually runs from nurse, to physician’s assistant, to a nurse practitioner, to dentist, to family doc to ER doc to a physician who is board certified in one of the other specialties that generally and has specialty training in cosmetic medicine and or surgery. The next decision that needs to be made is what product to get. BOTOX®, Juvederm Ultra or Ultra Plus, Radiesse, Belotero, Sculptra, Restylane, Perlane, Artefill now called Bellafill??? And that’s the short list! A lot to consider if you’re tired of “growing old gracefully”!